The New Sun Rising is pleased to announce the awardees of the Transformative Teaching Artist Awards. These awards are made possible through the generous support of The Heinz Endowments’ Transformative Arts Process (TAP). The goal of this initiative is to move towards a more Just Pittsburgh by invigorating the field of teaching artists and arts organizations that have a demonstrated practice of challenging structural inequities, bringing transformative arts centered experience to youth and teaching artists in and from traditionally underserved African American and black communities. The Transformative Teaching Artist Awards from New Sun Rising believes that quality teaching artists should be recognized for the important work they do in Pittsburgh’s African American and black communities. Teaching artists play critical roles in the lives of the youth they serve, providing not only artistic skill building, but caring, support, and mentorship. Yet those teaching artists who have chosen this as their life’s work face great challenges in building teaching artist careers. Most of our teaching artists are underpaid and under-recognized. The delivery system for teaching artist instruction is fragmented; and arts instruction is often not assigned a high priority in public or out of school time programs. All 23 applicants who were considered have an extensive track record of combining artistic skill and the complementary skills of an educator. The selection committee consisted of peer artists and determined the 10 finalists after a thorough review and discussion of their skills, eligibility, and dedication. The ten award recipients will each receive an award of $5,000. These awards are recognition awards which may be used in any way the recipient deems fit. 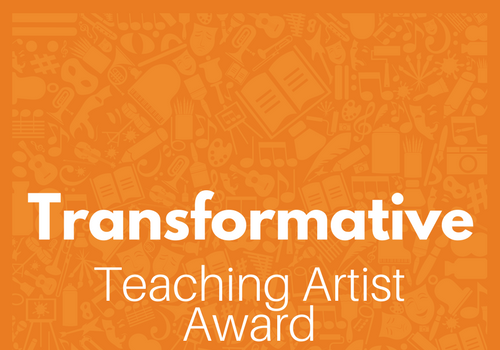 The Transformative Teaching Artist Awards add validation, strengthen networks, and increase visibility for the artists who choose to do this important work. It is our hope that these recognition awards can play a part in acknowledging teaching artistry as an impactful and recognized profession. Since 2005, NSR has empowered more than 400 community leaders, supporting innovative organizations that create economic opportunity, solve social challenges, & strengthen the vibrancy of place. NSR’s vision is to promote equitable development in collaboration with the neighborhood partners we serve. The New Sun Rising Vibrancy Fund invests in leaders through a series of targeted challenges. Funds are distributed through a number of flexible mechanisms, including: Traditional Grants and Awards, Recoverable Grants, Crowdsourcing Matches, and Loans. The Vibrancy Fund provides support for businesses, community projects, and collaborations with innovative solutions to our seven interrelated strategies for developing equitable, vibrant communities. New Sun Rising’s core strategies for building vibrancy include: Culture, Sustainability, and Opportunity. The Heinz Endowments is devoted to the mission of helping our region prosper as a vibrant center of creativity, learning, and social, economic and environmental sustainability. Core to its work is the vision of a just community where all are included and where everyone who calls Southwestern Pennsylvania home has a real and meaningful opportunity to thrive.